Y-36 TCG Meseha-2. Photo: Yörük Işık. Used with permission. P-1200 TCG Tuzla. Photo: Yörük Işık. Used with permission. A-587 TCG Gazal. Photo: Yörük Işık. Used with permission. 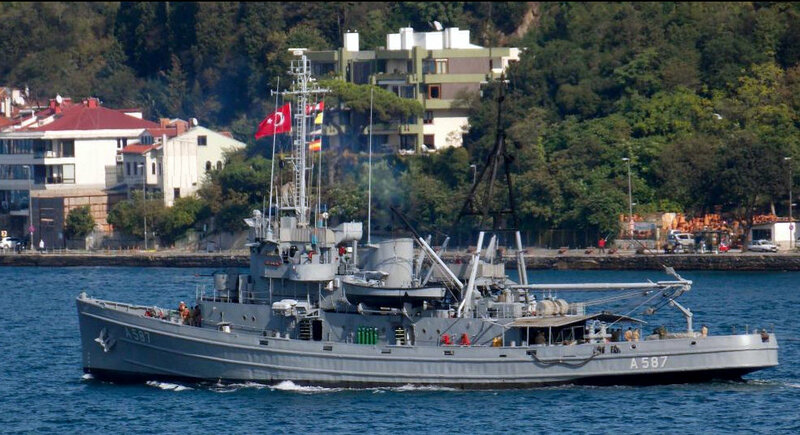 A-595 TCG Yarbay Kudret Güngör. Photo: Yörük Işık. Used with permission. A-595 TCG Yarbay Kudret Güngör. Photo: Kerim Bozkurt. Used with permission. An unnamed 209 Type 1400 class submarine. Ç-140 TCG Ç-140. Photo: Yörük Işık. Used with permission. P-333 TCG Tufan. Photo: Yörük Işık. Used with permission. P-330 TCG Kılıç. Photo: Yörük Işık. Used with permission. 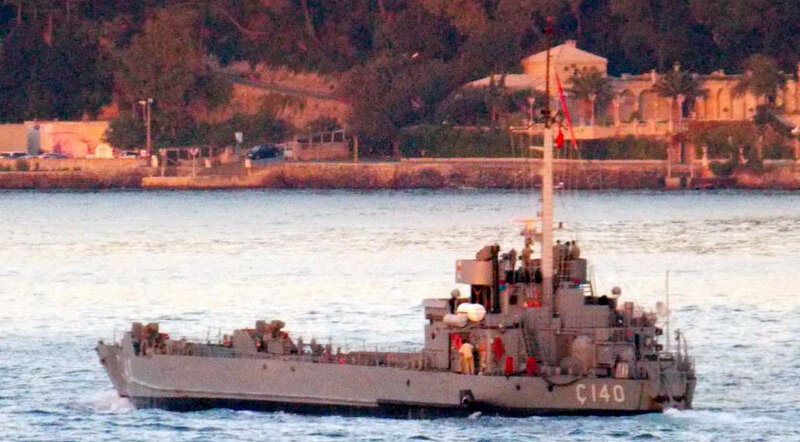 While the reason(s) for their deployment to the Black Sea has not been public, it is safe to assume that some of them may engage with SNMG-2 ships still in the Black Sea. 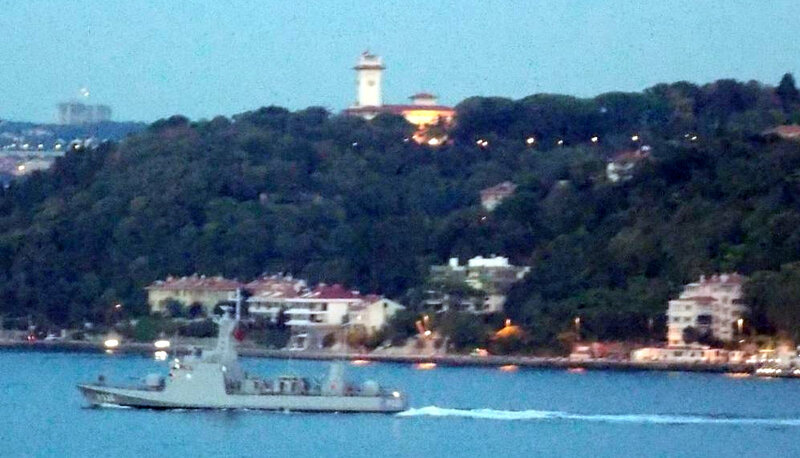 Varna, Bulgaria – Last weekend from 19 till 22 September 2014, the two ships assigned to Standing NATO Maritime Group TWO (SNMG2) Task Unit TWO (TU.02) stayed in Varna for a scheduled port visit during their deployment to the Black Sea. Led by Commander Jason Armstrong (Royal Canadian Navy), SNMG2 TU.02 is currently composed of HMCS TORONTO (Royal Canadian Navy) and SPS AMIRALTE JUAN de BORBON (Spanish Navy). SNMG2 is visiting the port as part of the Group’s deployment to the Black Sea to enhance maritime security and NATO’s readiness in the region. “This visit has been planned for quite some time, and in light of current events it; has become all the more significant,” said Commander Jason Armstrong, Commander SNMG2 TU.02. “We are delighted to come and train together, eager to enhance our mutual understanding, and eager to bring a strong message to Bulgarian people and to all Allied Nations regarding NATO’s resolve and commitment to collective defence. ”In conjunction with the port visit, Commander NATO Allied Maritime Command, Vice Admiral Hudson will visit with the Bulgarian Minister of Defence, Dr. Velizar Shalamanov, and Bulgarian Navy leaders to discuss maritime security and other issues of shared interest. 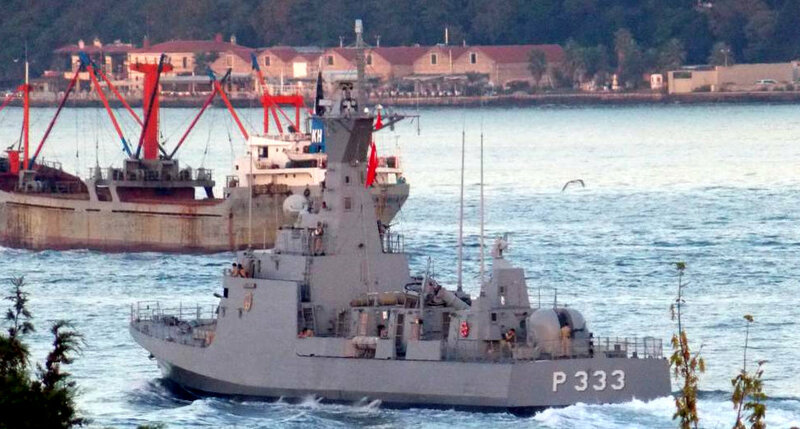 During the remainder of its deployment in the Black Sea, SNMG2 TU.02 will engage with ships and aircraft of the Bulgarian Navy and air and naval units from Turkey.